Gaisano Grand Mall of Koronadal will be the new name of South Cotabato's largest shopping destination (former Fit Mart Mall of Marbel) , this is according to an announcement which can be found at the main entrance of the mall, the same post announcing that Gaisano Grand Group will be conducting an IN-HOUSE ONE-DAY RECRUITMENT for MANAGERIAL/STAFF and CASUAL POSITIONS on August 18- 21 and 26-30 at the Gaisano Grand Mall Koronadal Convention Hall. Applicants must be 18- 25 years old, Male or Female, must be single, High School/College level or Graduates and bring necessary requirements. 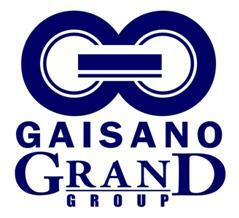 Gaisano Grand Group of Companies is a wholesale/retailing company with 14 existing branches spread throughout Visayas and Mindanao namely Gaisano Grand Mall of Antique, Gaisano Roxas Mall,Gaisano Roxas Marketplace, Gaisano Bacolod Mall, Gaisano Bacolod Main, Gaisano Kabankalan, Gaisano Grand Fiesta Mall, Gaisano Grand Price Club, Gaisano Grand Mall of Toledo, Gaisano Grand Mall of Minglanilla,Gaisano Citimall Davao, Gaisano Grand Mall of Panabo, Gaisano Grand Mall of Tagum, Gaisano Grand Mall of Mactan, and two hotels - Grand Regal Hotel in Davao City and Bacolod City. Fit Mart Mall of Marbel soon to become Gaisano Mall of Koronadal!